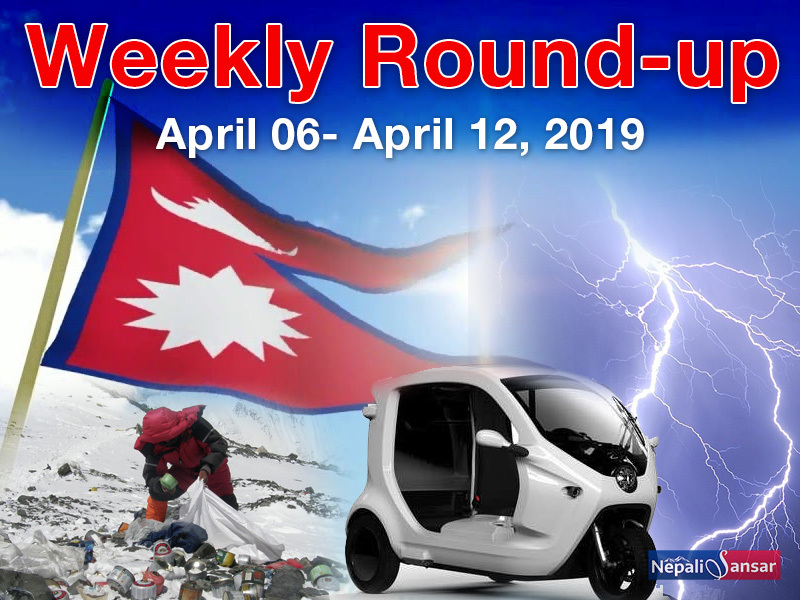 April 06-April 12, 2019 has been an important week for Nepal because of the important updates that the country has been in news for. Nepal is all set to receive a smart means of transport for the daily commute. Indian-based electric automobiles startup Gayam Motor Works has exported 43 ‘smart autos’ to the Himalayan nation. The eco-friendly vehicle runs on lithium-ion batteries and can travel at a maximum speed of 55 kmph. On a single charge, the e-rick can run up to 100 km. Home to one of the world’s highest peak’s, Nepal is gearing up to clean up its own Mount Everest from April 25, 2019. The country is sending a dedicated team of 14 members this climbing season to collect garbage and other trash including discarded climbing equipment, empty gas canisters and more from the well-known route to the summit. The team aims to clear 10,000 kgs of trash and will spend 15 days to gather the same. 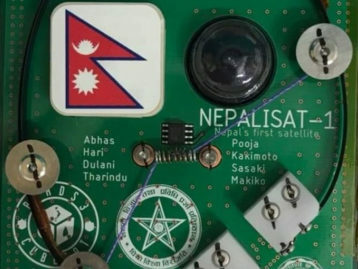 More than two dozen people were injured or died when lightning struck several parts of Nepal on April 8, 2019, in the night. As many as sixteen people were injured and 1 died in Achham after lightning hit the district. Nepal has witnessed more than 100 deaths per year since 2011, owing to lightning fatalities. In a recent update, the Department of Wildlife and National Parks announced that the planned census of Nepal’s one-horned rhinos will not take place this year due to insufficient funds. This year’s census is estimated at a cost of NPR 10 million. The 2015 Nepal rhino census involved 267 people and 54 elephants. 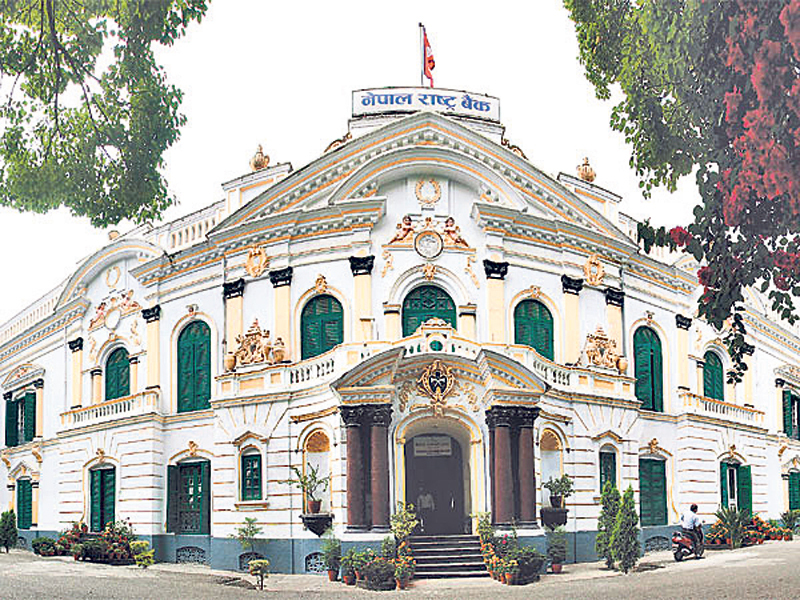 On the occasion of the 53rd Annual General Meeting of the Nepalese Chamber of Commerce and Industry (FNC-CI), Nepal Prime Minister KP Sharma Oli urged the private sector to practice healthy competition in the domestic market and support the government’s nation-building process. Oli further stated that it is important for Nepal to draw mega investments in different sectors for driving the theme ‘Happy Nepali: Prosperous Nepal’. India built a 25-bed maternity hospital in Nepal’s Siraha district under the Government of India’s Small Development Projects Scheme. The hospital named Chandra Narayan Yadav Maternity Hospital was inaugurated by Indian Ambassador to Nepal Manjeev Singh Puri on April 10, 2019. The health center will provide quality maternity and health care services to the people of 50 Village Development Committees in and around the district. The three-day Tamang Film Festival-2019 begin in Municipality-7 of Kavrepalanchowk on April 12, 2019. 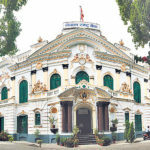 The event is being organized by the Nepal Tamang Artist Association and aims to promote Tamang movies and create an environment for quality films and identify better film markets. Besides the main agenda, the festival will also feature traditional musical band, Tamang cuisine, traditional musical band, and other Tharu cultural events. A group of three climbers created history when they became the first mountaineers to climb the Gyalzen peak, which has remained untouched by trekkers till date. The mountaineers Maya Gurung, Milan Tamang, and Sharmila Thapa began their climb to the 6,151 m tall peak on April 05, 2019 and completed it on April 09, 2019. Interestingly, the trio set out in a team of six including the great Tenzing Norgay’s grandchildren. 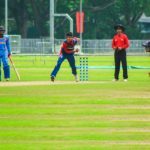 Nepal played their first match at the U19 Asia Qualifier in Singapore and beat the host country by 217 runs. 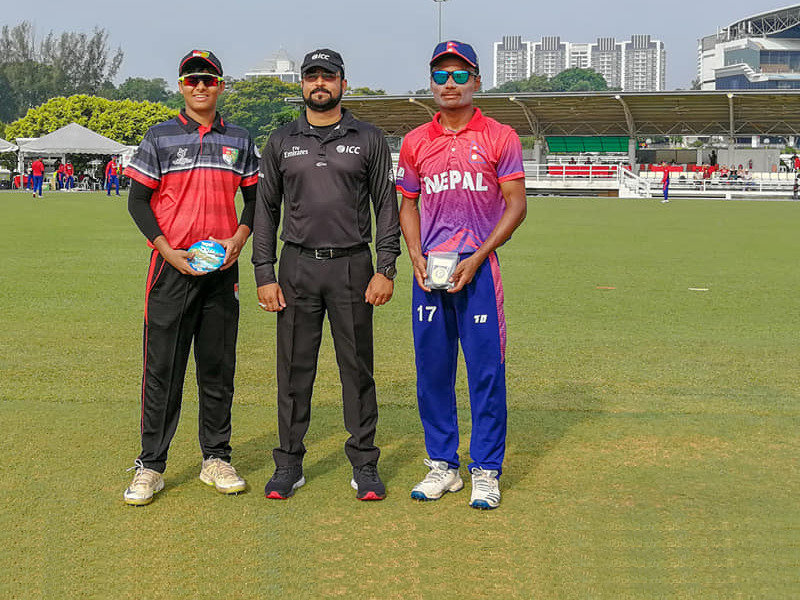 Pawan Sarraf was named Player of the Match and Captain Rohit Kumar Paudel was the highest scorer with 95 runs. Read more..